Alan D. Penskar is an Associate Attorney with The Meisner Law Group, P.C. and focuses his practice on condominium, community association and other real estate-related issues, in addition to commercial litigation. 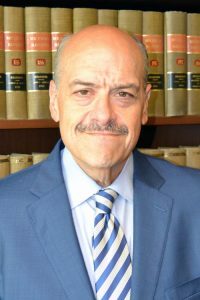 He brings to The Meisner Law Group nearly thirty years of experience in state and federal courts and in administrative proceedings handling lawsuits involving contract disputes, shareholder oppression, employment, including discrimination charges, and enforcement of non-competition agreements, as well as property disputes. He has a superior record of success in the state appellate courts. Mr. Penskar is not only a litigator; he utilizes his extensive litigation experience to counsel clients on business practices and procedures that avert costly lawsuits. He has served as a Mediator in the Genesee County Circuit Court for nearly fifteen years. Mr. Penskar received his Bachelor’s Degree from the University of Michigan, Ann Arbor, and his Juris Doctorate from Wayne State University Law School.